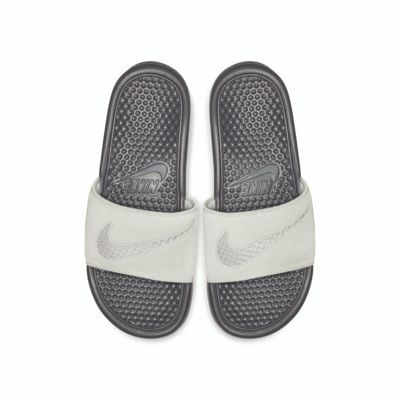 The Nike Benassi JDI Leather SE is crafted for all-day comfort with ultrasoft suede and a sporty mesh Swoosh design trademark. Its Phylon midsole provides a plush feel, while the herringbone pattern on the outsole offers flexibility and traction. 1-piece suede strap for a premium look. Swoosh design trademark is cut out of the suede strap to reveal mesh. Have your say. 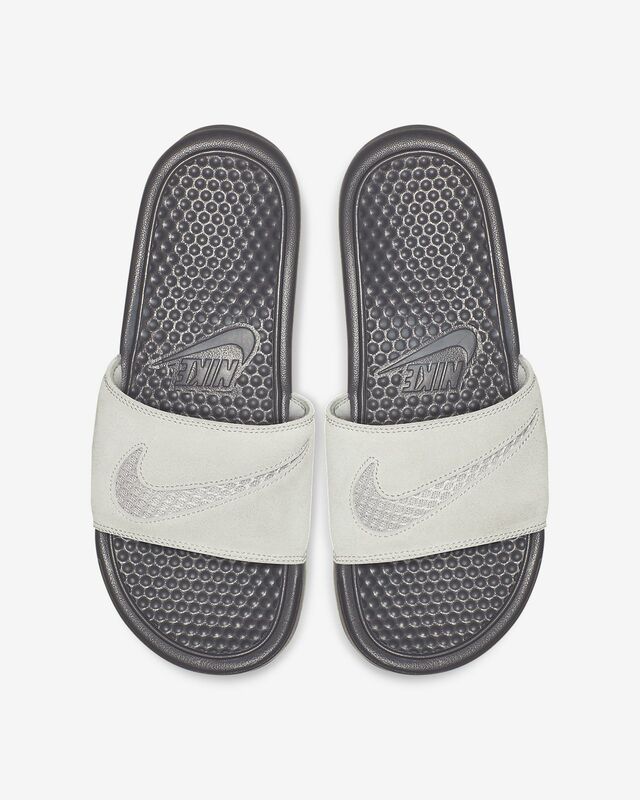 Be the first to review the Nike Benassi JDI Leather SE.